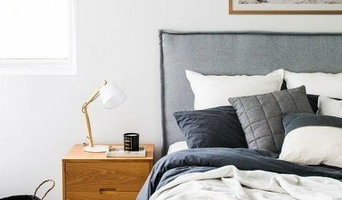 BedsAhead is a family run business located in Kirrawee, NSW that specialises in custom designed and made Upholstered Bed Heads and other furnishings for both individuals and businesses, including interior designers, property styling companies, interior architects and hotel groups. Our products are all Australian made, are of the highest quality and are provided to you at an affordable price. The unique difference we offer is our “Design Your Own” option which allows you to create your own bed head or other upholstered piece by choosing your design and fabric from our extensive range and providing us with your specifications and we will custom make it to order. Our product range includes Bed Heads, Footstools, Blanket Boxes, Ottomans, Valances, Day Beds, Wall Paneling and Commercial Seating. We welcome Trade enquiries and are happy to offer appropriate businesses a Wholesale Account. Please visit our website for further details. Sydney's Luxury Outdoor Furniture Retailer Visit our Alexandria Store! Creating a new look at home can be easy as changing your accessories. We think it should be as easy (and frequent!) as your wardrobe update. Our mission at Miss Amara is to make buying rugs such a simple, affordable and stimulating experience that you'll be inspired to change up your look more often. We focus on timeless, Scandinavian design to create our furniture collection. All our furniture is commercial grade quality, designed to be part of your life for many decades. Find timeless furniture you can afford to love at Icon By Design. By Dezign is a world of inspiration for decorators & homeowners. We specialise in lounge, dining, bedroom & office furniture in styles varied from modern, to rustic, to French provincial to traditional. Our two large-format Sydney stores, in Auburn & Artarmon are set up in lifestyle format, showcasing over 100 complete room settings. Our looks are completed by an enormous range of decorative items, including artworks & mirrors, rugs, lamps & lighting & unique homewares. You'll be sure to find something you love at By Dezign. Strictly Comfort is an Australian owned and operated business that specialises in custom made lounge room and bedroom furniture. We offer a variety of comfortable sofa beds, custom made sofas and lounges, lift up storage beds, drawer storage beds as well as a large range of feature chairs and ottomans in all sizes and shapes. Wintons Teak is a premium furniture company, creating high quality pieces in A-Grade Teak, oak, stainless steel and hand-woven wicker. Our clean, contemporary designs can be mixed and matched, giving you the flexibility to create your own signature style. Our teak pieces require no specific oiling, staining or any other care-specific maintenance. Lavita Furniture is where outdoor living meets great design and style. Committed to creating cosmopolitan exterior spaces Australia wide, our collection of luxury outdoor furniture is carefully crafted by our team to effortlessly complete the look in any home. We welcome you to imagine your garden as an outdoor room, and discover Lavita's versatile garden & patio furniture designs and modern materials that will have you decorating like it is one. Visit our stores in Sydney, Melbourne and Brisbane. Bijan Exclusive Rugs’ reputation as Australia’s leading retailer of superior handmade rugs is built on exemplary service, passion and knowledge. They have made it their ethos to provide their guests with a tantalising glimpse of the traditional bazaar experience. As a family business, they are committed to providing hospitality and carrying on a proud cultural tradition. Every handmade carpet comes with a ‘Certificate of Authenticity’, which certifies the rug as a genuine, handmade carpet, its place of origin and its value for insurance purposes. Bijan has been recommended as an experienced valuer and assessor by some of the largest insurance companies in Australia. Vinyl Design is a Sydney based brand specialised in designing and producing a large range of removable wall decals and stickers. Choose from our existing range or contact us for custom jobs. Interfar Furniture has been designing and manufacturing custom made furniture and joinery for both large and small spaces since 1973. Through this time Interfar has built a reputation of producing high quality furniture that complements both people’s lifestyle and décor of their homes. Our team consists of qualified furniture designers, kitchen designers and cabinet makers. At Interfar we use the highest quality of materials, the latest technology and exceptional craftsmanship, that’s what makes Interfar stand out from our competitors. We are also members of the Furnishing Industry Association of Australia. Interfar has the capacity to be involved with small to large residential projects through to all types of commercial joinery. We have worked in collaboration with various architects, designers and builders on previous projects requiring custom designed specifications. All of the cabinetwork is manufactured at our factory in Sydney using the latest CNC technology for accuracy and high quality. We can deliver a project from design to installation. Whether it’s a wall bed, wall unit, media unit, kitchen or home office, Interfar Furniture is individually designed to express your personal style and perfectly proportioned for your space. Our versatility, flexibility and variety allows you to create the latest contemporary look made right here in Australia. 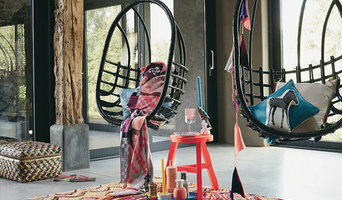 Style My Home is an Australian retailer offering a wide range of affordable Hampton’s or coastal inspired furniture, art and homewares. We specialise in importing classic, timeless styles that will last the test of time. We work closely with our factory on our finishes to ensure that all pieces are made to the highest standard with resilient ‘life’ friendly finishes. Kate Unsworth is the owner of Yellow Front Door, an Australian online homewares store specialising in cushions, throws and artworks. She hunts down unique, beautiful pieces made by designers and artists around the world. The products are contemporary and colourful with a Scandinavian edge, and she loves finding products that are fresh, handmade, and have a story. Yellow Front Door is all about great design and quality without the price tag. At Sofabed Specialists we pride ourselves in offering you the perfect solution for all your spare bed needs. We have the most extensive and diverse range of sofa beds in Australia; including Australian made, European, comfortable mattress selections, timber slats, chair sofabeds, ottoman sofabeds, commercial sofabeds, contemporary and traditional selections. Som tur är så finns det en drös av butiker i Waterloo att besöka innan man bestämmer sig för vilka inköp som ska genomföras. Vilka butiker man sen väljer beror helt på vad man är ute efter. Är det designmöbler eller specifika inredningsdetaljer man letar efter bör man efterforska vilka butiker som erbjuder det man behöver. Det finns nämligen många olika butiker, med många olika inriktningar. Men trots att det finns fantastiska möbler och inredning att hitta i butik kan man emellanåt behöva specialtillverkade möbler. Har man designen klar för sig så kan man vända sig direkt till en möbelsnickare och behöver man även hjälp med möbeldesign så finns det även möbelföretag i Waterloo som hjälper till med detta. En möbeltillverkare kan se till att du får precis den möbeln du är ute efter, både när det kommer till design och funktion. Dessutom kan du passa på att få något helt unikt till ditt hem, något som är svårt att uppnå när du besöker en möbelkedja eller möbelgrossist. Vad som anses dyrt är både en fråga om vad det faktiska priset är men även vad man får för sina pengar. Möbelgrossister har möjligheten att få ner priset på sin möbeltillverkning på grund av en större produktion, däremot är hemaccessoarer och möbler från den här typen av butik inte speciellt unika. Genom att vända sig till mindre möbelproducenter och små interiörbutiker i Waterloo, NSW, AU har du möjlighet att sätta en mer personlig prägel på ditt hem. Och visst kostar det ofta en aning mer att specialbeställa en måttanpassad soffa till skillnad från en från en inredningskedja. Genom att handla det mesta från inredningskedjor och sedan leta unika möbler och inspirerande inredning online får man till ett snyggt och prisvärt hem, så att blanda möbler från olika tillverkare kan vara ett riktigt lyckat koncept!